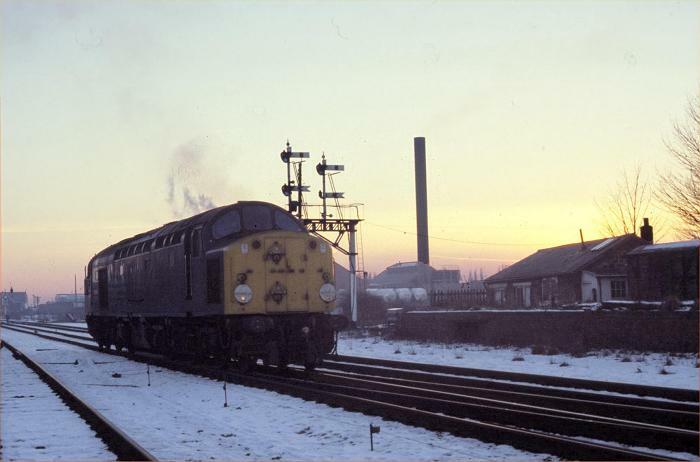 For the first picture of 1979, I have picked this shot of 40108 running round its train in the fading light of an icily cold 13th January 1979 at Wrexham General. The train concerned was the DAA 'North West Rambler No 2' from London Marylebone, which had just arrived from Dee Marsh Jn and was reversing to head for Chester. This train covered several 'choice' routes in the Midlands and North West, including Wednesbury to Tipton via Princes End, and Mickle Trafford to Dee Marsh Jnc. However, the cold weather and complicated route led to very late running and after a points failure at Northwich Yard the final highlight - St Helens to Widnes via Clock Face was not even attempted.